In homicide cases, the offender faces the possibility of being sentenced to significant State prison time if found guilty of the offense. If you have been accused of homicide, you should speak with an experienced Orlando criminal attorney as soon as possible to learn about your rights and the defenses that may be available to you. Vehicular homicide is the killing of a human being, or the killing of a viable fetus by any injury to the mother, caused by the operation of a motor vehicle by another in a reckless manner likely to cause the death of, or great bodily harm to, another. Vehicular homicide is typically a felony of the second degree, punishable by up to 15 years in State prison. However, in cases where the person knew or should have know the accident occurred and they failed to give information and render aid, it is a felony of the first degree punishable by up to 30 years in State prison. Vessel homicide is the killing of a human being by the operation of a vessel as defined in s. 327.02 by another in a reckless manner likely to cause the death of, or great bodily harm to another. Vessel homicide is typically a felony of the second degree, punishable by up to 15 years in State prison. However, in cases where the person knew or should have know the accident occurred and they failed to give information and render aid, it is a felony of the first degree punishable by up to 30 years in State prison. 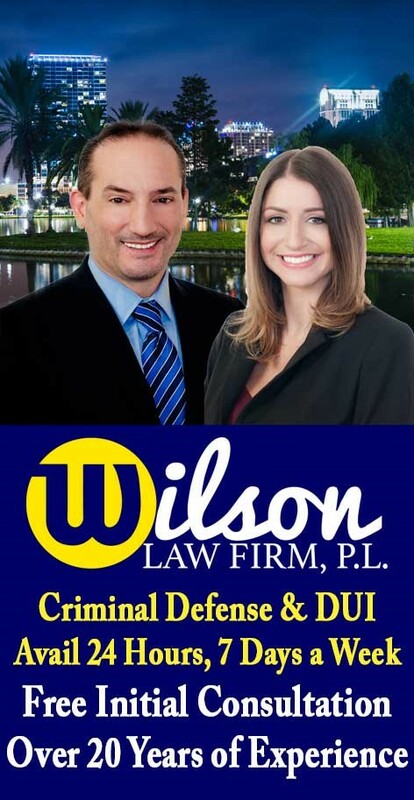 If you or a loved one have been arrested for a homicide, call the Wilson Law Firm today to speak with an experienced Orlando criminal attorney about your individual situation. In many homicide cases, a properly prepared defense by a criminal lawyer will result in either reduced penalties, reduced charges, or a dismissal of the charges. Even in homicide cases where the evidence of guilt is overwhelming, a properly prepared defense and presentation of mitigating circumstances by an Orlando criminal attorney can result in significant decreases in the penalties you receive.